Work begins on what will become the present building. 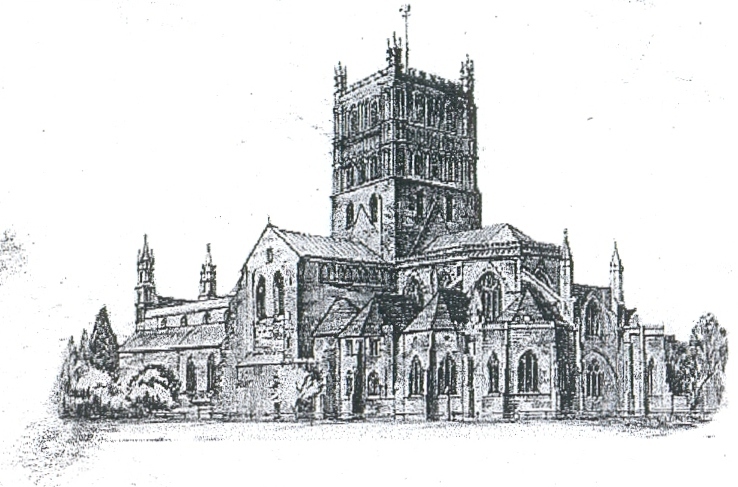 in 1121 the Abbey is consecrated by the Bishop of Worcester assisted by four other bishops. The present building replaced a Saxon Church and monastery, of which no trace remains. The East End of the Abbey in extensively remodeled. The Norman wooden ceiling is replaced by Lierne vaulting; the Despenser, Fitzhamon and Beauchamp chantries are built and the stained glass is installed about the Quire. 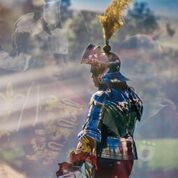 Battle of Tewkesbury, 4th May. 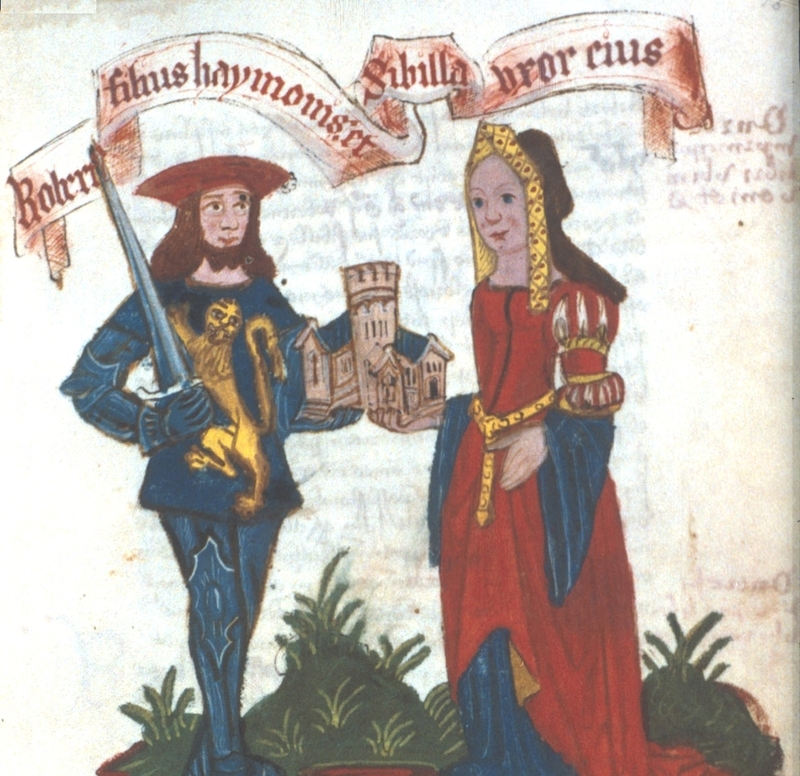 The Lancastrian Army, led by the Prince of Wales, Lord Wenlock and the Duke of Somerset, was defeated by the Yorkists, led by Edward IV, Richard of Gloucester and George, Duke of Clarence. This was a pivotal battle in the Wars of the Roses. Edward, Prince of Wales, was buried in the choir of the Abbey and although the exact site of his burial is not know there is a brass plaque of commemoration in the floor of the choir. The Golden Suns at the East End of he choir were installed to mark the Yorkist victory. The golden suns under the Tower are 19th century copies added by Gilbert Scott in 1878. 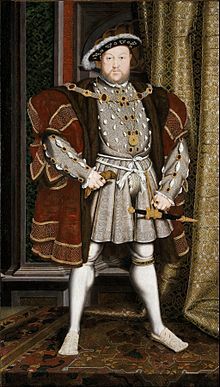 At the Dissolution of the Monasteries the Abbey was dissolved and all its valuables seized and placed in Henry VIII’s coffers. The Abbey was purchased by the townspeople for £453, the price of the lead on the roof and the metal in the bells, to become their parish church. The Abbey tower was topped by a lead covered wooden spire about 30m high. 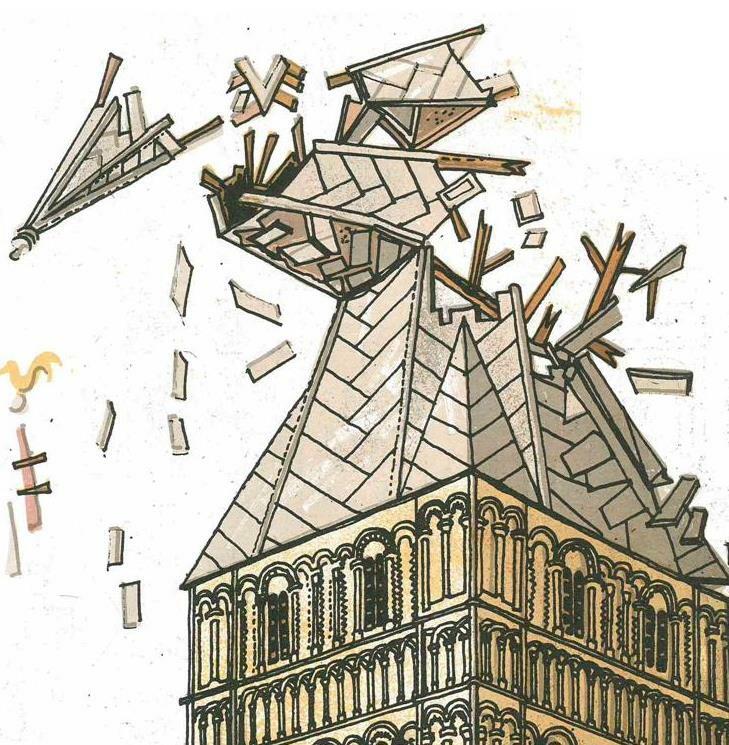 In a great gale on Easter morning 1559 it blew down. Fortunately, little damage was done and no-one was injured. 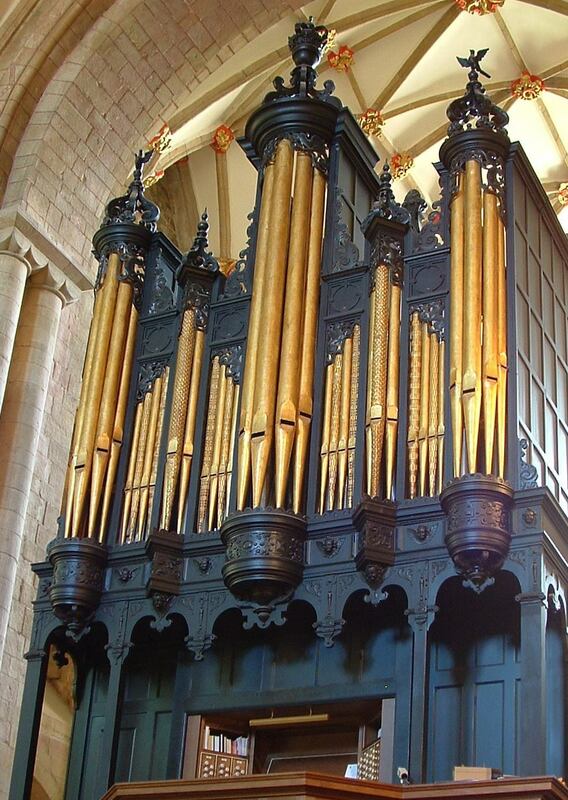 The Milton Organ was moved to the Abbey from Magdalen College, Oxford. It is called the Milton as, while installed at Hampton Court Palace, it may have been played by the poet John Milton who was Latin Secretary to Oliver Cromwell. Sir Gilbert Scott, the English Gothic Revival architect, took charge of a plan to supposedly restore Tewkesbury Abbey to what he thought it ought to look like. This restoration caused a high profile war of words, as the textile designer and social activist William Morris publicly slated the project. 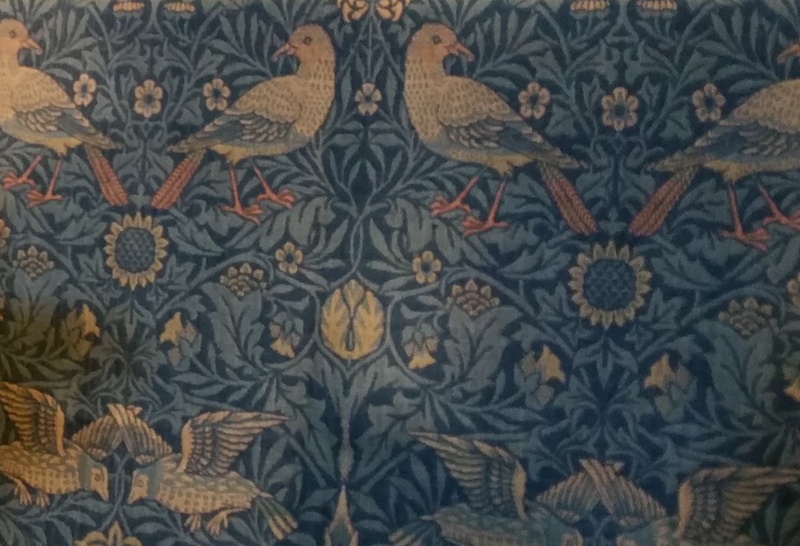 The image is a detail from a pair of curtains which used to hang in the Abbey which are William Morris’ Bird design. The drawing room at Kelmscott House is swathed in this design. 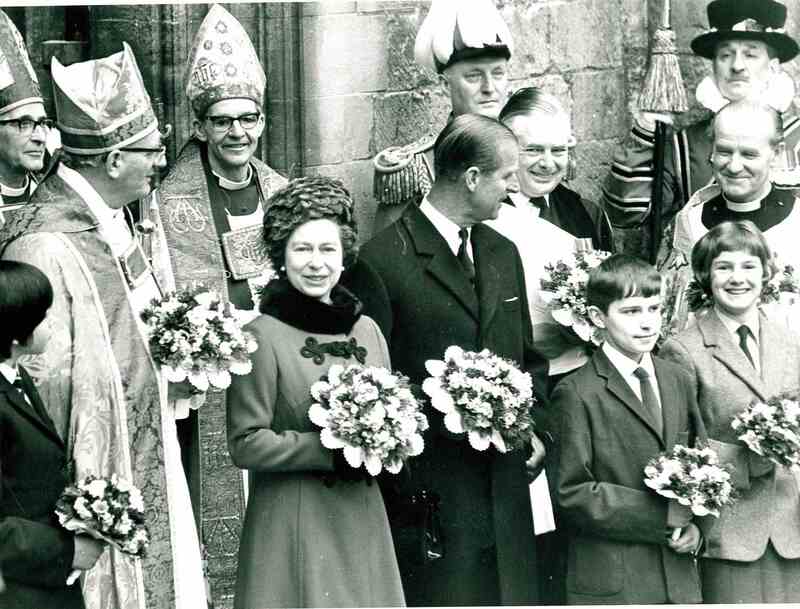 Queen Elizabeth II leaving Tewkesbury Abbey after distributing the Royal Maundy Money. The Queen distributed the Royal Maundy Money to 90 persons – 45 men and 45 women in recognition of their contribution to the community and to the church. Each recipient was given two small leather purses by The Queen, one red and one white. The first contained a small amount of ordinary coinage which symbolised the Sovereign’s gift for food and clothing. The second purse contained Maundy coins up to the value of the Sovereign’s age. The coins consist of 1, 2, 3 and four pence silver pieces. 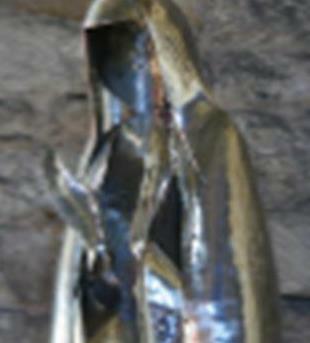 Two contemporary works of art were purchased for the Abbey by The Friends of Tewkesbury Abbey – the altar in St Catherine’s Chapel “I am that I am” by Bryant Fedden, and the statue behind the High Altar “Our Lady Queen of Peace” by Anthony Robinson. 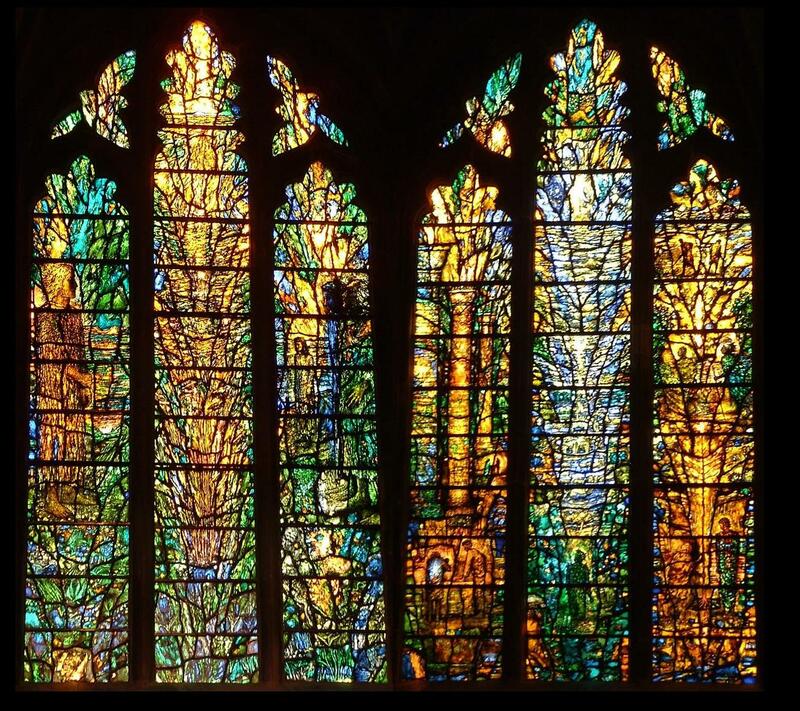 The Denny Windows are installed to commemorate the 900th anniversary of the arrival of the monks from Cranbourne. The theme of the windows is Laborare est Orare – To work is to Pray – which comes from the Rule of St Benedict, the laws by which Benedict’s followers lived. 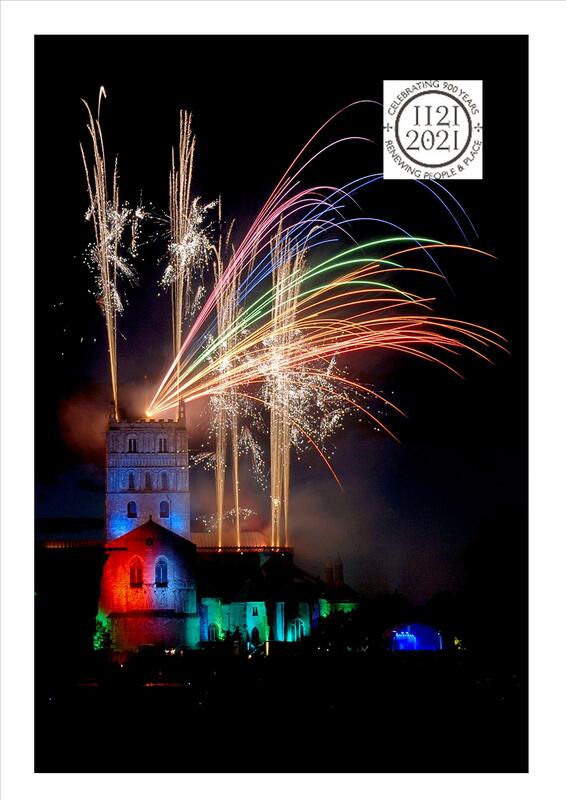 The year 2021 will be big for the Abbey and for Tewkesbury as it will be 900 years since the consecration of the Abbey in 1121 and 550 years since the battle of Tewkesbury in 1471. At the Abbey we are planning not just a series of celebratory events during 2021 but to ensure that on 23 October when will will celebrate the Anniversary of the Consecration that the Abbey will be fit for purpose for the good of our own and succeeding generations.